Frey Vineyards is America’s first organic and Biodynamic winery which is third-generation family-owned and operated located in Redwood Valley, California. Their farming methods encourage care for the soil, groundwater, and wildlife, promoting rich biodiversity in the vineyard. As stewards of the land, they emphasize producing only the highest quality wine while caring for planet. Varietals include Pinot Noir, Zinfandel, Merlot, Cabernet Sauvignon, Syrah, Chardonney, Pinot Grigio, among may others. 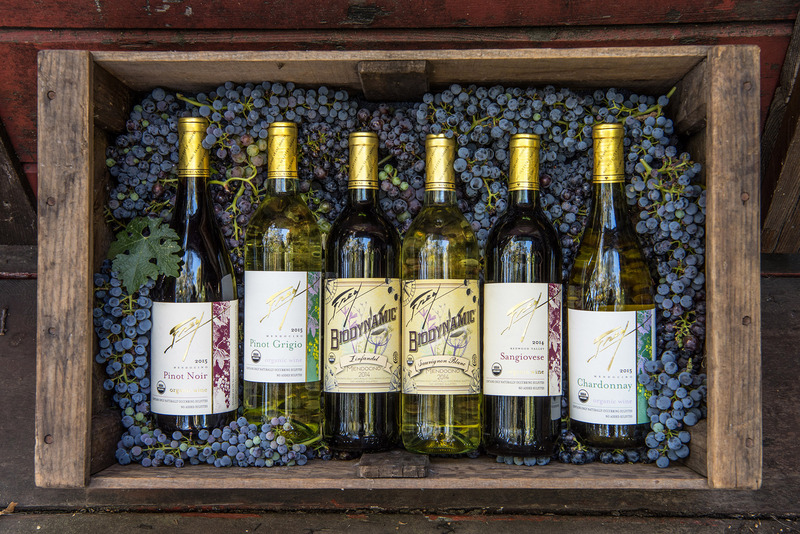 Producing award-winning vegan, gluten free wines with no added sulfites since 1980. Order 12 bottles or more and get 10% off (Automatically applied). Frey Wine Club members receive a 20% discount on all orders. Join the Frey Vineyards Wine Club today! Frey Vineyards cannot ship wine to the following states: AL, AR, DE, HI (all islands except the Big Island), IN, KY, MS, NJ, OH, OK, RI, UT. Frey also cannot ship to certain areas of AK, FL, and WV.